Palatine Handyman Services – Let Us Do It For You! 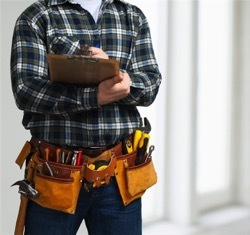 Handymen & Mrs. Helper provides a wide range of professional home repair and handyman services in the Palatine area. We employ a highly skilled and experienced team of handymen. Our trustworthy HANDYMEN will fix, repair and improve your home and property beyond your expectations. We provide superior services at an affordable rate. When you choose one of our HANDYMEN, rest assured that the job will be done right. Your time is precious and we make it convenient for you to use our home maintenance services. Call our office today and let our team complete those jobs you don’t have time for and our Palatine Handymen will do it for you. Exterior, Interior, Kitchens & Bathrooms, Flooring and more – we are your local handyman that can help save you time, while also increasing the value and comfort of your home. Check out the list below of commonly requested home repair services that we offer.